Two offices of Chattanooga's Olan Mills Inc., which was bought Minnesota-based rival Lifetouch Inc. in November 2011, will close. POLL: Have you had your photo taken by Olan Mills studios? Minnesota-based Lifetouch, which bought Olan Mills in November, plans to shut down the two Olan Mills production facilities in the city and cut 383 jobs, an official said Monday. Lifetouch, a portrait photography company like Olan Mills, is closing the longtime Olan Mills sites on Shallowford Road and Amnicola Highway. "Work at those plants will go to other facilities across the country," said Kelvin Miller, Lifetouch's corporate vice president of communications. Lifetouch will keep open its Preservation Drive facility in Chattanooga, where it employs up to 350 people at peak times, Miller said. Lifetouch bought that facility from Olan Mills in 1999. Miller also said the company still will employ nearly 4,000 former Olan Mills workers countrywide in sales and on photographic teams. Workers in Chattanooga were informed Monday about the closings, which will occur over the next few months. "A lot of people feel like Mr. Mills really sold us down the river," said Peggy Gray, who had cleaned the company's Shallowford Road building for six years. Olan Mills II, the 81-year-old namesake of what was once America's largest portrait studio, sold the Chattanooga-based business to competitor Lifetouch late last year for an undisclosed sum. 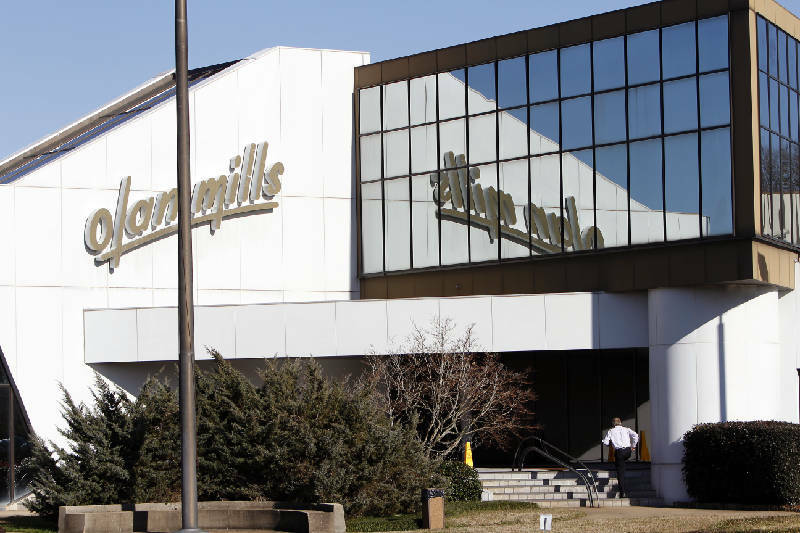 At the time, Mills said the sale was best for the company's future and its employees. He did not immediately return phone calls seeking comment Monday. 1932 Olan and Mary Mills begin photography business in Selma, Ala.
Lifetouch, in turn, had called the deal "a natural fit" and said that nearly all Olan Mills employees would work for the business, based in Eden Prairie, Minn. However, Miller said the company had to look at operational efficiencies. "It only makes prudent sense that operations be combined," he said. The former Olan Mills location on Shallowford Road is a photographic lab for printing portraits and employs about 350, Miller said. The building still is owned by Mills himself, the Lifetouch official said. The Amnicola Highway site employed 33 workers and is owned by Chattanooga State Community College, he said. Miller said the displaced workers will be offered a severance package and outplacement help, potentially at other Lifetouch locations. At the same time, a local economic developer termed the job cuts "a tough loss." "Losses like this underscore the continuing need for our comprehensive job creation strategy," J.Ed. Marston, the Chattanooga Area Chamber of Commerce's vice president of marketing, said in a statement. The move is the second big hit the Chattanooga area has taken on the jobs front this month. Earlier, grocer Food Lion announced plans to shutter 13 stores employing about 500 people. Bill Fox, who directs the Center for Business and Economic Education at the University of Tennessee, said the job losses don't necessarily reflect the local economy but are more industry specific. When one company buys another, it usually involves trying to become more efficient and save money, he said. "The one that gets bought is generally at more risk," Fox said. In terms of Food Lion, many of the jobs it cut likely will be refilled by other grocers who remain in operation in the area, he said, though he added that those Food Lion employees who lose their jobs won't necessarily be the ones hired elsewhere. "It's not like people are stopping eating," Fox said. Contact staff writer Mike Pare at mpare@timesfree press.com or 423-757-6318.